Dance Denmark was a five-and-a-half-week program that included performing and teaching throughout the country, collaborating with Danish dancers and choreographers, and participating in multiple excursions to various historical and cultural sites. Our repertoire, which was choreographed collaboratively, included tap dance, hip-hop, body rhythm, and classical and contemporary techniques. 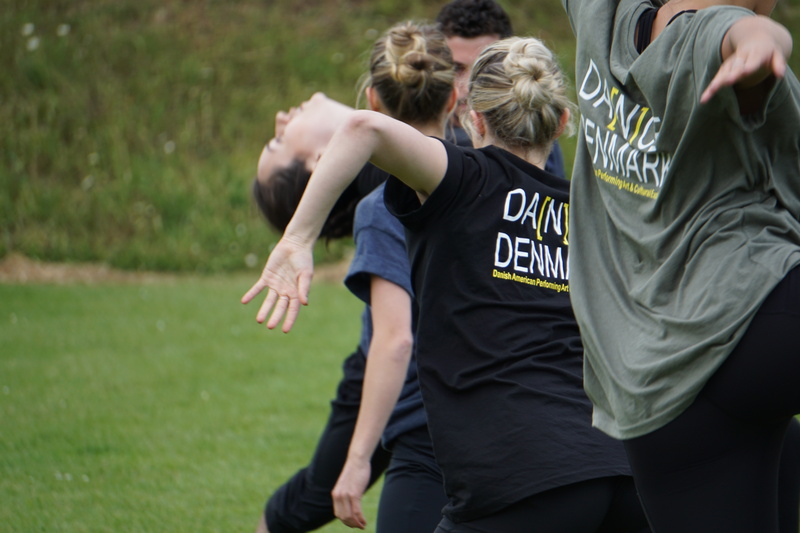 Most of our trip was spent at a Gerlev, a sports academy in a small town called Slagelse, but we also performed as international guests at the National Sports and Culture Festival in Aalborg and immersed ourselves in the lively culture in Copenhagen. When asked what I was most looking forward to in the weeks before I left The States, I often responded with excitement about visiting the least stratified country in the world. During spring semester, Social Stratification: Race, Gender, and Class dominated my interests and passions and led me to declare Inequality in Society as my minor. As my understanding of America’s social structure broadened, my frustrations with the systems that breed inequality within it broadened as well. I fantasized about an America where higher taxes meant healthcare and education for all (instead of just for those who can afford it), and where every skill and interest has equal value (resulting in relatively equal income and status for everyone). People in “that America” aren’t forced to build impossible bridges to cross the gap between poor and rich, can freely decide a profession without the crushing thought of financial failure pulling their hair and pinching their neck, and can go to college without hesitation—never even considering the possibility that their future might be burdened with debt. Social Stratification also taught me that Denmark’s government supported the social systems I believe in. As indicated in my proposal, I anticipated that “spending six weeks in a country with completely different systems than those I have lived in for nineteen years (would) expand my sociological knowledge and advance my interests in creating better systems that work for people despite their gender, class, and race.” My prediction held true, but I also came to realize that no matter how sound a governmental system is, or isn’t for that matter, flaws are inherent even if they are not evident. My sociological knowledge expanded in an unexpected way: I realized that while government support is important, the most valuable work I can do for my country is on a much smaller scale. With the hopes of learning more about Danish culture, history, and politics, I spent a great deal of my time (after classes) in the lounge with a few of my American peers and the Gerlev students—a family of Danes, Germans, Czechs, Spaniards, and Icelanders. Sitting on the old (but quite comfortable) green couches and soaking in the rosy light of the sunset, I had numerous conversations about the differences between Nordic and American Society. My new friends were incredibly open about the politics and societal aspects of their countries and were interested in my opinions about what they shared. After one conversation about Denmark’s somewhat inconspicuous resistance towards accepting refugees and tolerating their cultures, I realized that its systems work so fluently partly because the country’s central issue is class. 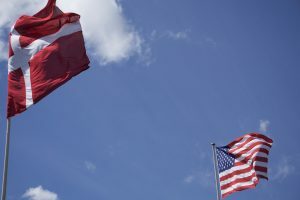 Unlike America, Denmark is not bred from an elaborate lattice of intersecting issues of race, gender, and class, and the government and its citizens are resisting that possibility where they can. The country’s size and population works in favor of equality because there is a general absence of diversity. This, of course, is quite the opposite of the structure of the United States. In a bittersweet moment, I was overwhelmed by adoration for the melting pot of my country’s people and the art and music that is a result of its cultural fusion, while simultaneously concluding that the vibrant variation I love so much would disrupt the systems that work so well in Denmark, making them merely mediocre in America. Although my general opinions about society remain the same, since going to Denmark, there has been a shift in how I cope with the amount of inequity that exists in the world, and my method of stirring change has transformed. A new perspective forced me to face what I have always known to be true but have struggled to accept: I cannot help everyone—no one can. In high school, I remember being flustered by a Mother Teresa quote my sociology teacher was so fond of: “Never worry about numbers. Help one person at a time, and always start with the person nearest you.” I didn’t understand why this was such an important concept then, but it finally makes sense to me. Right now, there is little I can do to change the social systems in America. If I truly want to make a difference, I should focus on helping the community around me.